Pinterest has become my new Google. If I am looking for a cheesecake recipe, I search Pinterest. If I am looking for rainy day activities for my 21 month daughter, I search Pinterest. I planned my daughter’s whole first birthday party using recipes and ideas from…guess where. 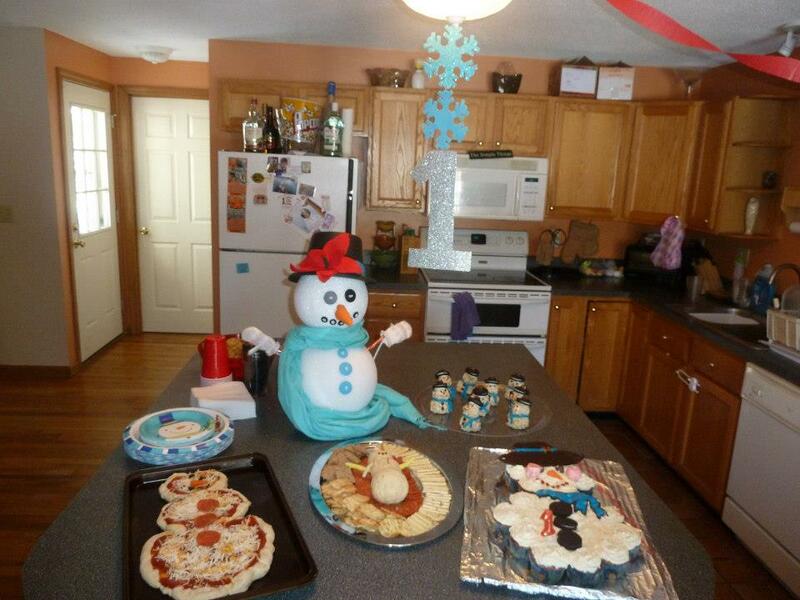 Here are pictures from her snowman themed first birthday. 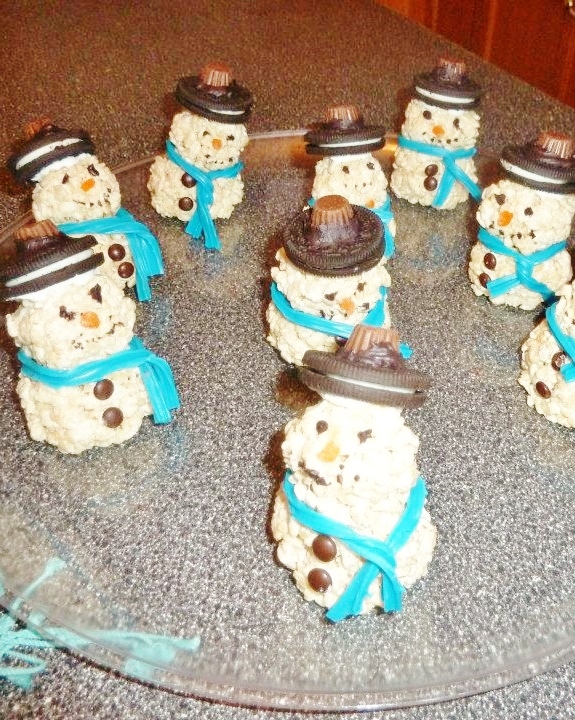 Rice Krispie snowmen. 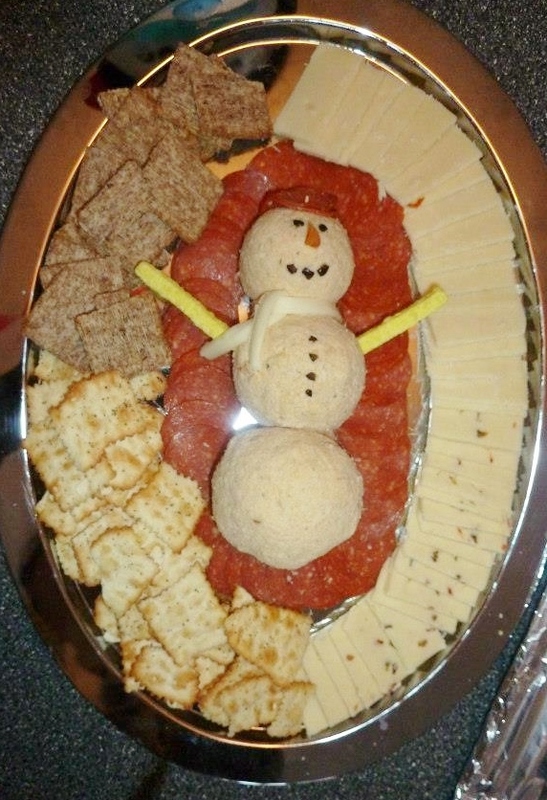 This was a variation of a few different Rice Krispie snowmen that I saw. Follow the basic Rice Krispie treat recipe & form into balls while still soft. Attach balls & accessories with icing. That hats were made with Oreos & Reeses peanut butter cup minis. The scarf is colored licorice whips. The buttons are made of M&M minis & the nose is just a sliver of an orange gum drop. Next year’s party theme is ‘Turning 2 at the Zoo’. I am excited to get started.